For more than 50 years the WIX name has become well-known among the generations of motorsports champions who have driven to the winner’s circle with WIX Filters. They are the No. 1 filter in motorsports. Air filters are too often overlooked. Mazda recommends checking your Miata's air filter once a year or every 15K miles and replacing no later than every 2 1/2 years or 37k miles. If you live in a dusty environment check your Miata's air filter regularly and replace it if it's clogged. One typical example of a restricted fuel filter is a Miata that loses power. 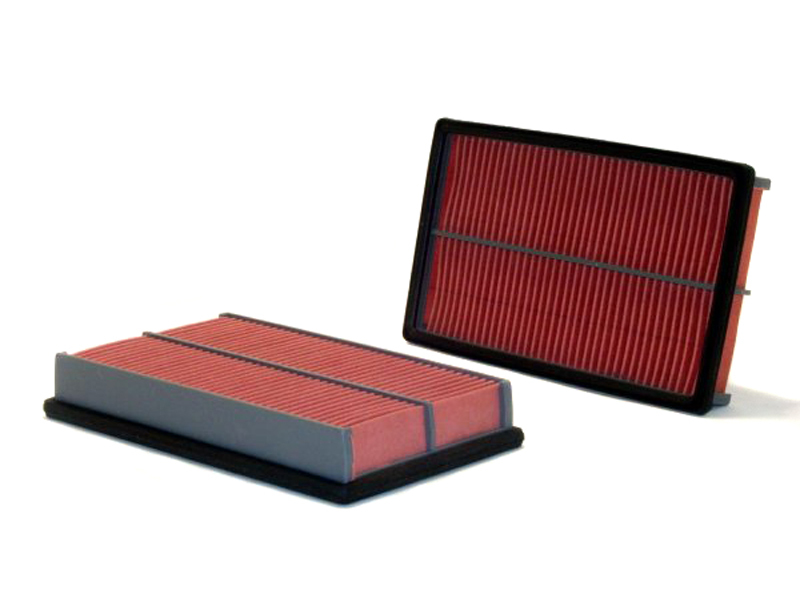 Under load, a clogged air filter restricts air flow and puts more demand on the engine. 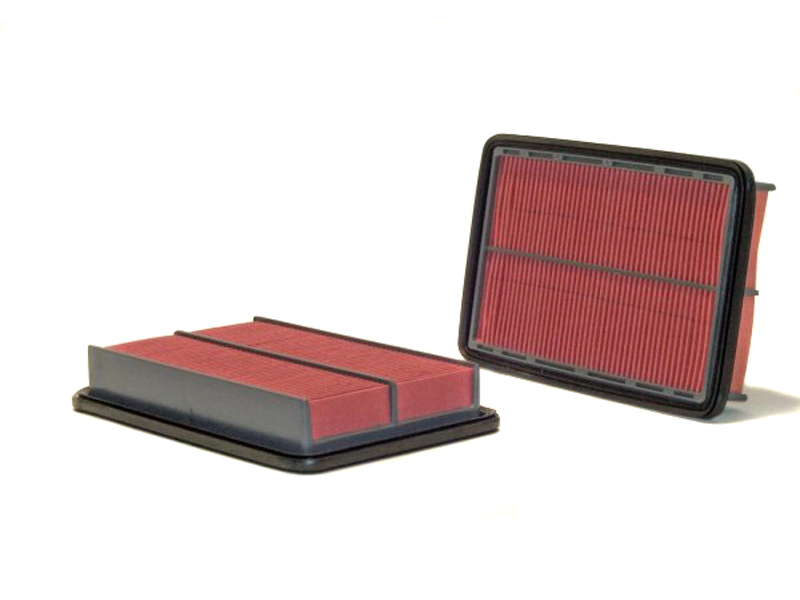 We are very satisfied with WIX filters and use them on all our Miatas and non-Miata vehicles. Considering as much as 10,000 gallons of air must pass through the air filter for every gallon of fuel the engine consumes, WIX air filters play a vital part in preventing foreign particles like soot, carbon and abrasives from entering the fuel mix and damaging your engine. Even the smallest dust particles can damage cylinder walls, pistons and piston rings and cause premature engine wear. WIX Panel air filters provide air with a linear path and low air restriction. They have special pocket pleats in the media, held together with specially formulated adhesive. The filter media is framed by a urethane soft sealing gasket on 1990-2005 Miatas as shown above. The 2006-2015 MX5 used a different design as shown at right. All of the air that enters your Miata's engine must first pass through the air filter. Which means the high efficiency provided by WIX air filters is vital for long and trouble-free fuel system and engine life. NGK V-Power Spark Plugs are ideally suited for race cars and high-performance street cars with supercharged, turbocharged or nitrous oxide fed engines. Magnecor Competition Spark Plug Wires are designed and constructed to be used in applications where it is essential to prevent the possibility of ignition wires compromising engine performance. This should be the last set of wires you'll ever need. NGK Spark Plug Wire Sets are built to meet stringent OEM tolerances for the Miata and is the same brande Mazda sells. This Custom Performance Wire Set with Ferrite Magnetic Core. Cool Blue Jacket and OE Identical Wire Width. WIX OEM-style replacement fuel filters for the Miata MX5. Fuel filters are too often overlooked. Mazda recommends replacing your Miata fuel filter no later than every 5 years or 60k miles.